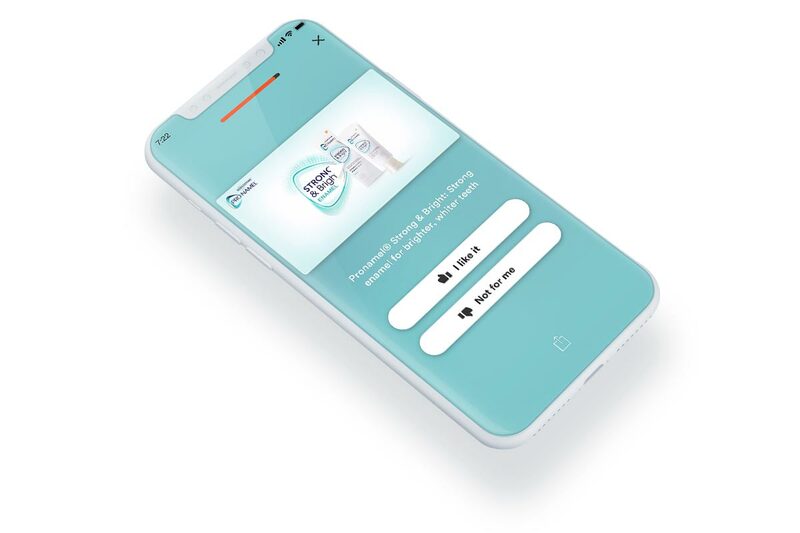 GlaxoSmithKline’s Sensodyne team needed enough time with consumers to educate them on specific oral care issues as well as communicate how their ProNamel product line provides a great solution for those issues. Further, they needed consumers’ trust to gain insights into their oral care preferences. 6 Activies per experience, including Trivia, Video, Multiple Choice activities. Sensodyne launched a Dabbl brand experience with six activities including trivia, video and multiple choice. The trivia activity educated consumers on the various causes of tooth enamel erosion. 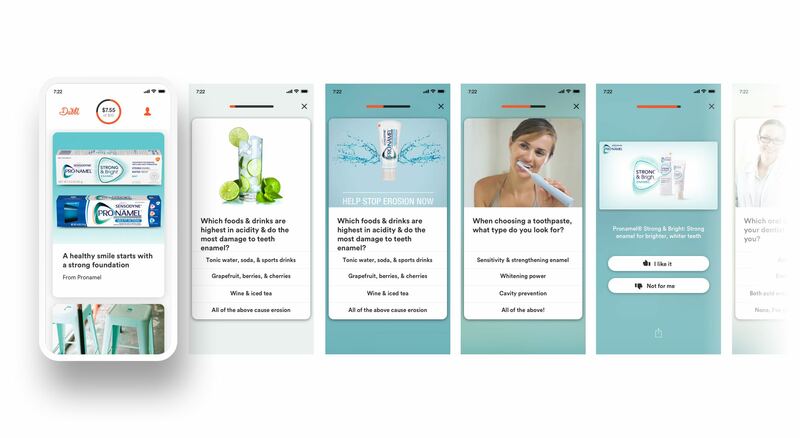 The multiple choice activities allowed the mostly female millennial audience the chance to give feedback and insights into their oral care preferences. The 30 second video communicated the link between ProNamel's strong enamel protection and whiter teeth. 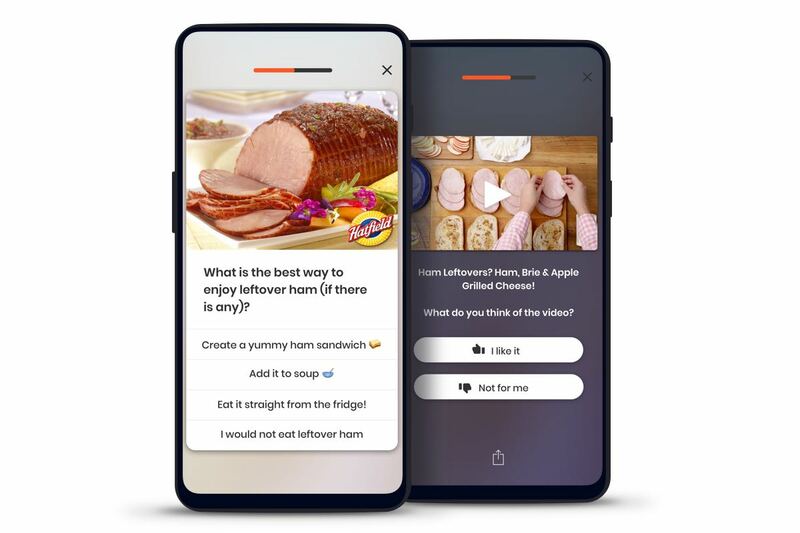 Finally, consumers were able to give feedback via their likeliness to purchase and rating the brand experience itself. The Dabbl platform provided the time, level of engagement and consumer trust for Sensodyne to achieve the ProNamel objectives. 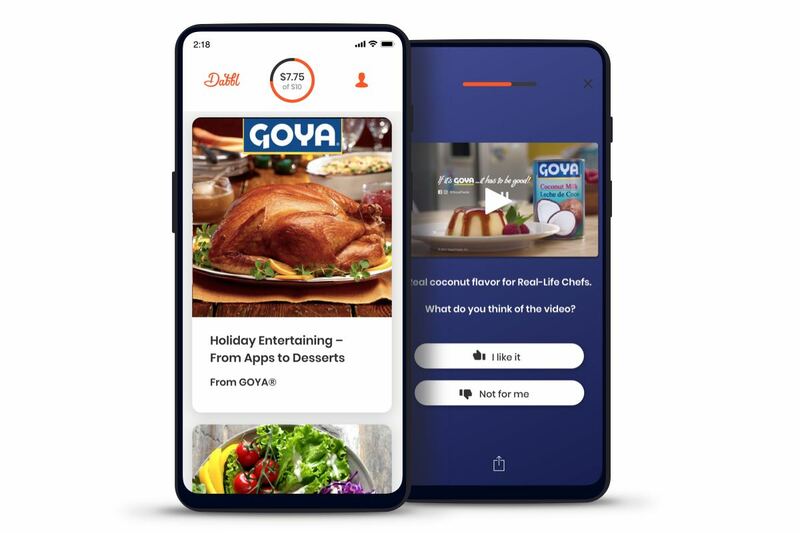 Over 50,000 consumers completed the full brand experience including watching the full 30 second video and engaging in all trivia and multiple choice feedback activities. How much time did they spend with ProNamel? These consumers spent an average 49 seconds engaging in the enamel erosion trivia, watching the brand video and providing consumer insights into their oral care. Additionally, 76% expressed an intent to purchase ProNamel products. Consumers enjoyed their time with this brand experience, rating it 4.39 out of 5 on average. & data directly from consumers.